Arkansas Shinner - 4" Arkansas Shinner - 5"
Out of the packet, the Storm So-Run Joker Shad has two membranes connecting the boot tail to the lure body. Leave the two membranes connected if you intend to fish the Joker Shad with a medium to fast retrieve, or want a tighter tail kicking action. 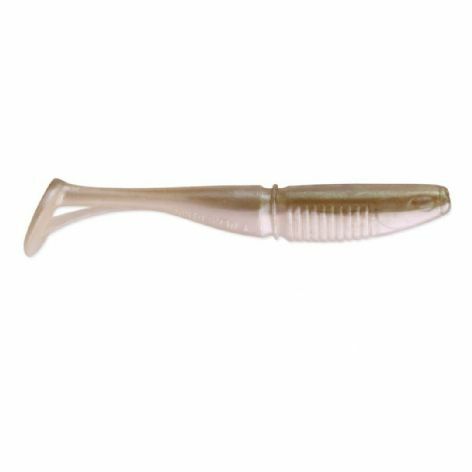 Remove the lower membrane for maximum action on a slow retrieve. The Joker Shad also features a ribbed body for added water displacement, as well as a thin middle band that adds movement to the whole tail section. All So-Run soft baits are scent infused to add maximum attraction.